A novel experimental setup, equipped with strobe imaging, is used to study the instability patterns of a submerged liquid jet. 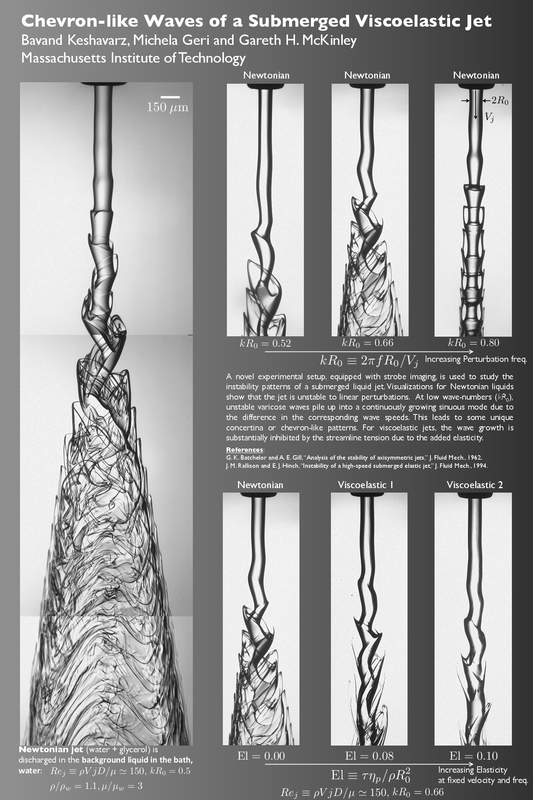 Visualizations for the Newtonian liquids show that the jet is unstable to the linear perturbations. At low wave-numbers, unstable varicose waves pile up into a continuously growing sinuous mode due to the difference in the corresponding wave speeds. This leads to some unique concertina or chevron-like patterns. Using the strobe technique, we can record the evolution of these complex axisymmetric waves at high spatial and temporal resolutions. 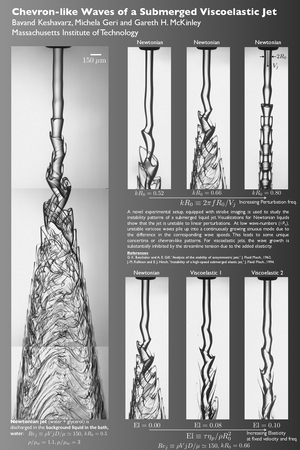 For viscoelastic jets, the wave growth is substantially inhibited by the streamline tension due to the added elasticity.